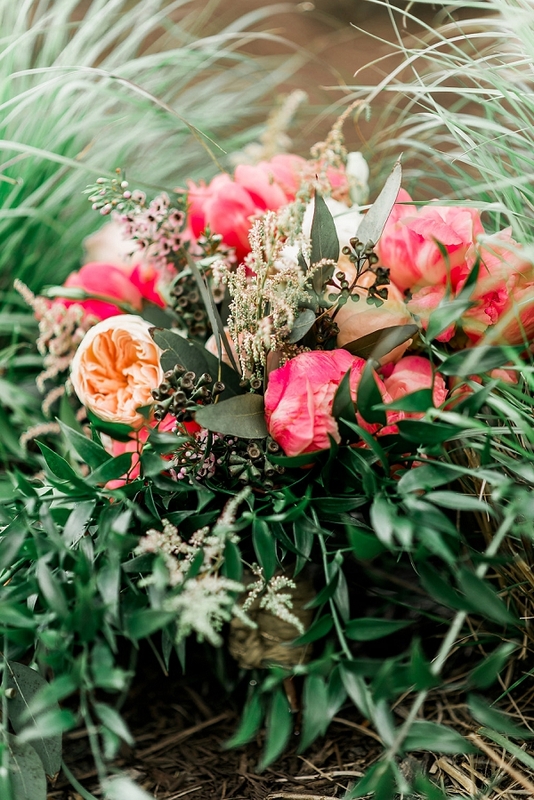 With summer fully in bloom, we know exactly what that means: gorgeous colorful floral arrangements at every turn! 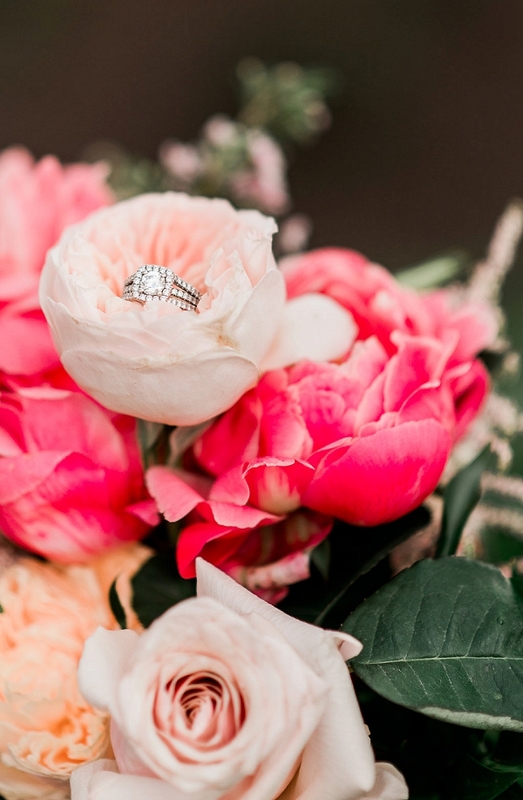 We couldn't be more excited especially when bright pink coral charm peonies make an appearance! 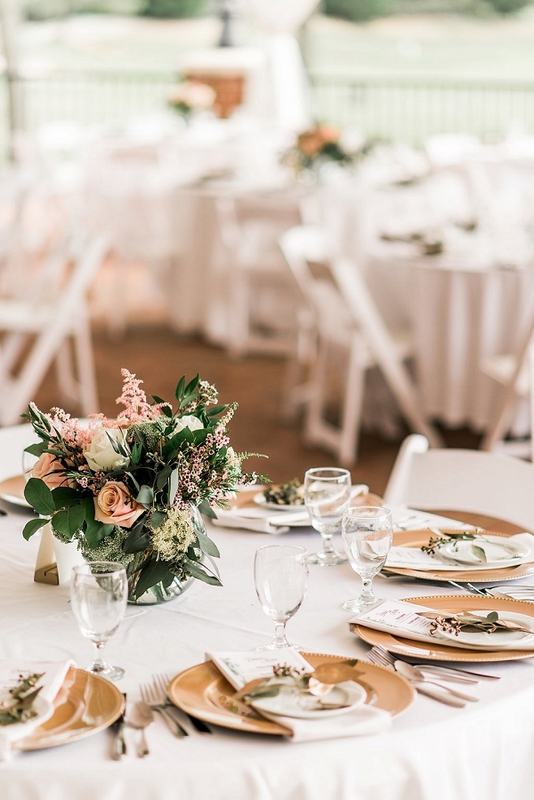 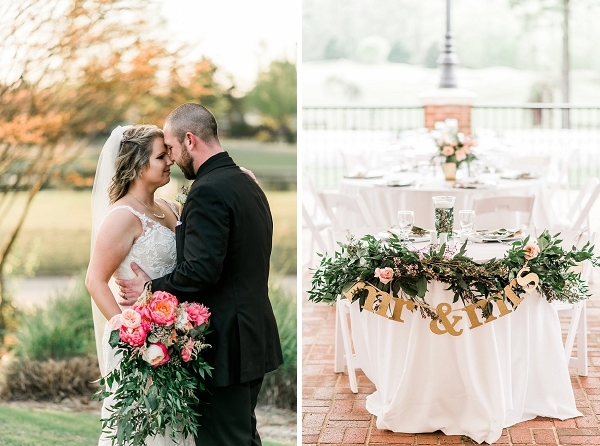 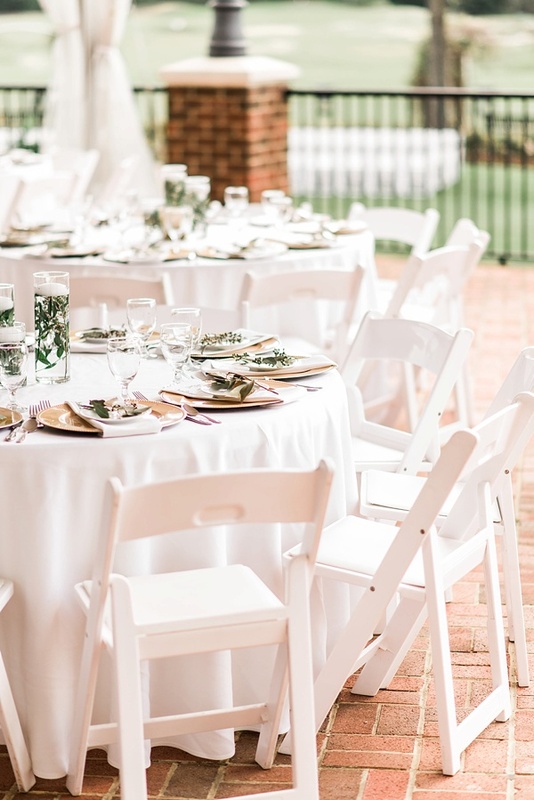 Maggie and Adam chose modern rustic details to brighten up The Signature at West Neck in Virginia Beach for their beautiful outdoor wedding. 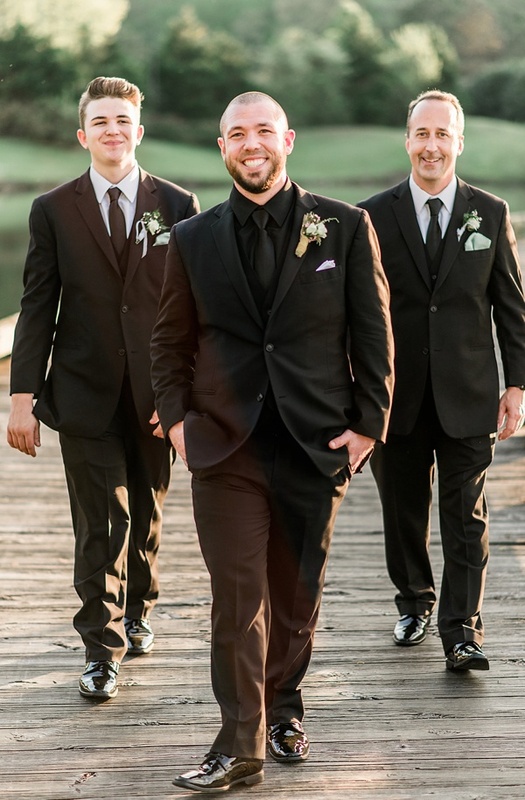 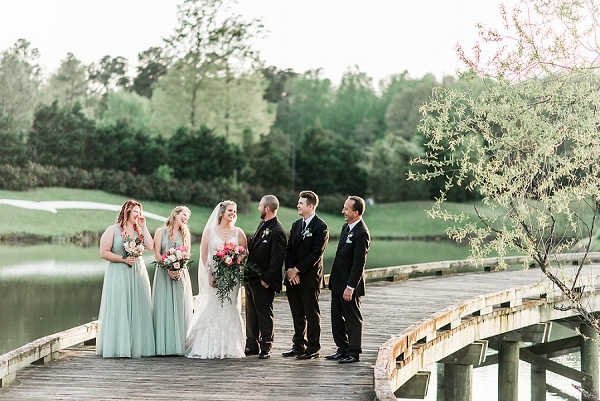 With a gorgeous ceremony overlooking a hilly golf course and sweet wedding party portraits on a wooden bridge at sunset, there were breathtaking moments at every turn. 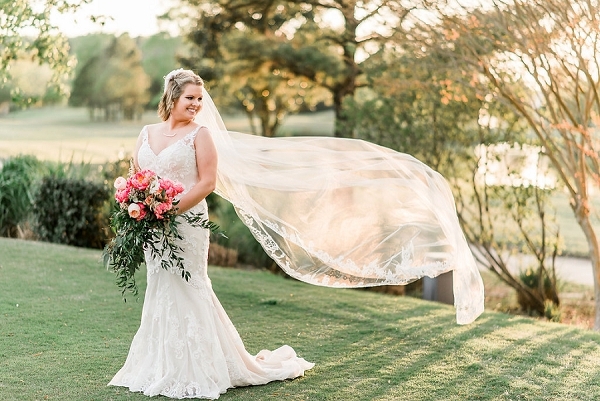 After watching the royal wedding we have all the love for major veil cameos, and Maggie's cathedral length tulle beauty is a definite winner! 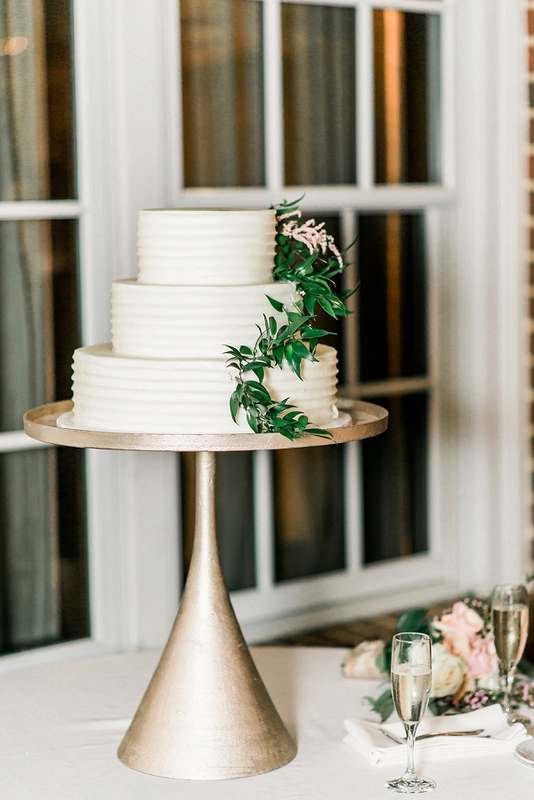 Amanda Robbins Photography captured the sweet moments and details of Maggie and Adam's celebration such as greenery swag for days and a sweet small tiered cake on a tall contemporary gold stand. 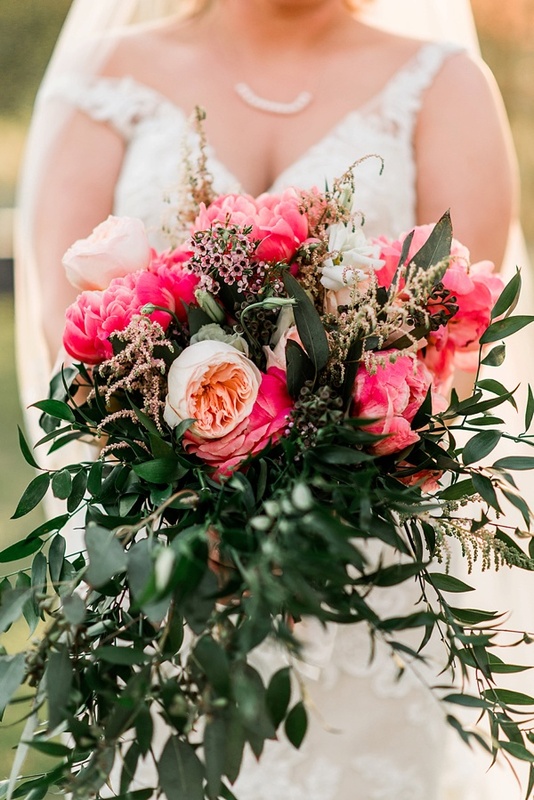 Plus – have we mentioned those gorgeous bouquets with more shades of pink than we can count? 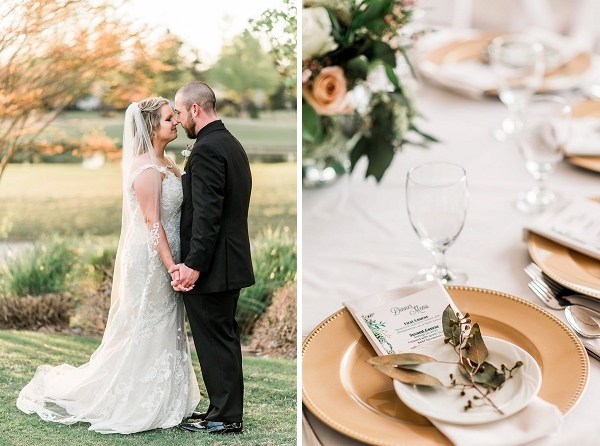 Get ready to swoon over these two lovebirds' style as you scroll through their wedding day.